I love Alex Kava. Just like her other books this one was great too. It kept me interested from beginning to end. Can't wait for the next book. LOOKING FORWARD TO THE STORYLINE IN THE NEXT BOOKS. IT IS NICE TO BE INTRODUCED TO NEW CHARACTERS AND FOLLOW THE INERACTIONS BETWEEN THE DOGS AND THEIR HANDLERS. I AM NOT A WRITER, SO THEREFORE AM NOT ABLE TO PUT INTO WORDS THAT THIS BOOK DESERVES. Outstanding, two of my favorite characters in on book. I would hope this will continue. The story line was perfect bring each character together when necessary yet allowing each to function in there specialties. Thank you for an enjoyable experience. I love dogs; the only thing better is a book about dogs. This novel is interesting, scary as hell--fire ants, coral snakes, poison spiders, and, ugh, cockroaches--and totally suspenseful. Some of the cruelty perpetrated by the drug cartel is beyond human understanding. How people can harm others in such ways defies imagination. I love Creed's dogs and how they figure in the story. I am looking forward to more Creed books. I highly recommend this book. 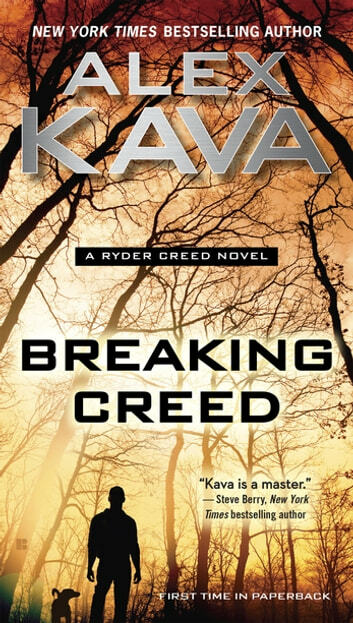 The book was good and I would read another in this series, but the title suggests Creed has been broken and that certainly is not the case, he is a very strong and interesting character.